PlayStation 4 is Sony's latest generation video game console, currently on the "Slim" edition which was last September. 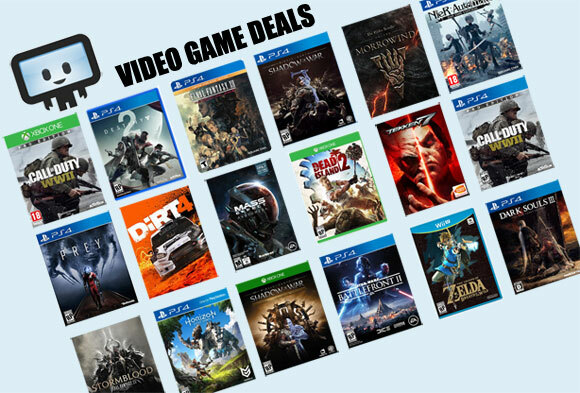 Here at Dealzon, you'll find all the cheapest PS4 game deals we've spotted across the web. Looking for cheap PS4 deals on the console itself? Or how about a good deal on the PlayStation 4 Pro? We've got both of them covered, from brand new units with full Sony warranty to refurbished bargains. Use the drop-down menu below to search for upcoming PS4 games release deals, including PS4 pre-order game deals. You can also sort PS4 games on sale by recently released schedule too. Spot a good deal we didn't mention?